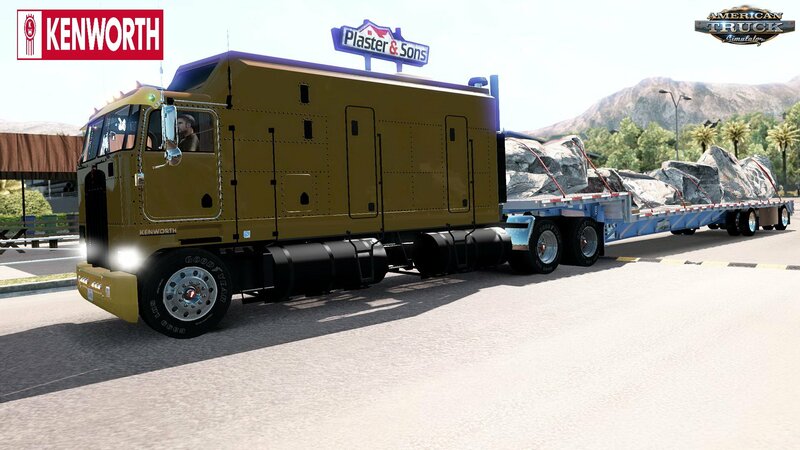 Download mod Kenworth K100 + Interior v1.0 by CyrusTheVirus (v1.33.x) for ATS | American Truck Simulator game. - Adaptation to 1.29.x ATS game version. 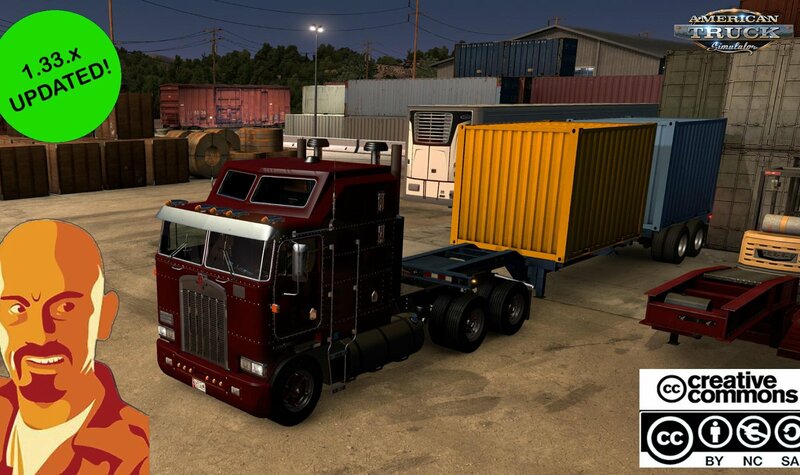 - Added skins: Dukes (for Aerodyne cabin) & Classic stripes (for Standard cabin) made by EVR. THANK YOU :-). - Clean gamelog. No warnings. 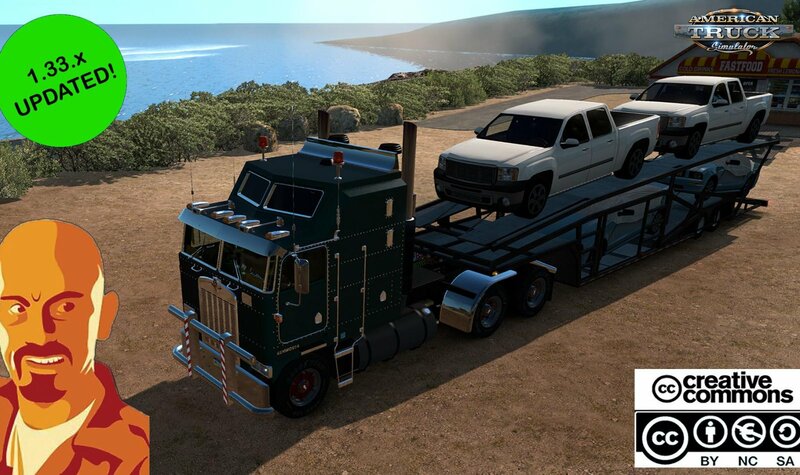 - SCS cabin accessories and SiSL Megapack compatibility addon included. - Custom license plate addon available. - NECESSARY INSTALL SISL MEGAPACK TO HAVE AVAILABLE ALL CABIN ACCESSORIES. - Adaptation to ATS latest version. - Some arrangements in 3D model. - Fixed some chrome parts that appeared in black. - Gamelog clean without warnings or errors. - Addon for SiSL Megapack available.